The increase in the consumption of organic foods has been one of the most obvious trends in the health-conscious society around the globe in the last decade. The sales of organic foods have grown by double-digit rates in many countries. The largest market for organic foods consumption is in the United States. In Thailand, the sale of organic foods is on the rise higher than the sales rate of conventional food. Premium pricing is a motivation for producers. Consumers prefer to pay more to get high quality food . At the same time, Thai consumers are actively engaged in online shopping on all kinds of commodities including organic food. Organic food has expanded its distribution channels to online shopping. Even though the consumption of organic foods is increasing in Thailand, but still little is known about the factors which affect consumer purchase intention toward organic foods. 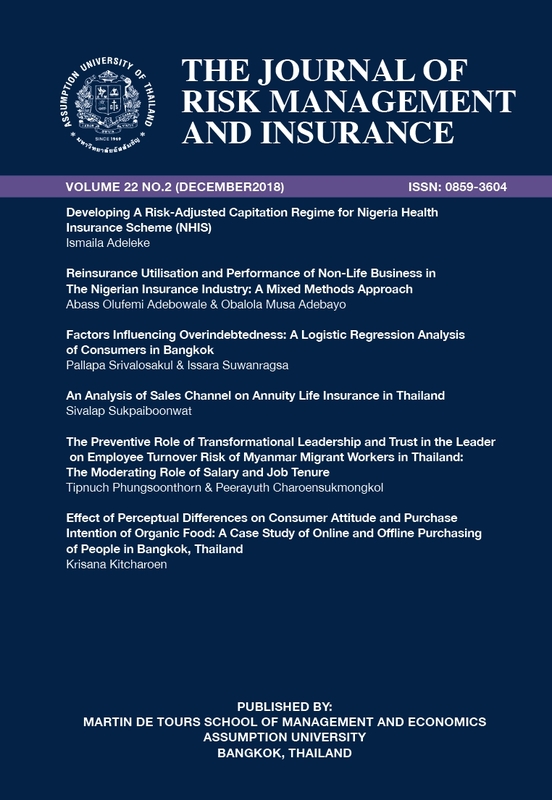 This study was carried out to explore factors influencing perceptual differences on consumer attitude and purchase intention of organic foods: a case study of online and offline purchasing organic food. These research-targeted populations are people who live in Bangkok and had an experience of consuming organic food. There are 404 respondents. Simple linear regression and multiple regression analysis were to analyze the data Findings reveal that Perceived Benefits is the most important variable that positively affects both the attitude and intention to purchase organic food at statistically significant level of 0.05. There is a significance mean difference derived between preference in offline purchasing group and online purchasing group using independent sample t-test for analysis .